More than likely, you already have some idea as to what constitutes cyberstalking. It is when someone uses technology, such as social media platforms or smartphones, to stalk and harass someone online. For example, let’s begin with spyware that could be installed on your computer. You’ve taken all the precautions on your social media accounts. In fact, you are beyond confident that your Facebook and Instagram posts are set to private. Nevertheless, your ex-boyfriend seems to know about every picture you put up, as well as your use of Messenger services. How is that possible? Cyberstalking is not just about using technology to track you. It also concerns issuing threats or abuse utilizing some type of online contact. Furthermore, someone that is guilty of cyberstalking may even attempt to extort money. They may do this by threatening to post slanderous and compromising posts or photographs. 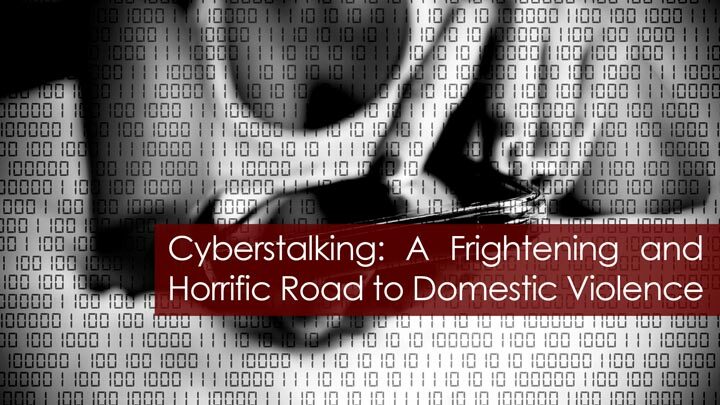 Cyberstalking is not only a crime, but should be considered a predicate act of domestic violence. In many states, you can request a restraining order against someone who is stalking or harassing you, even if that person does not have a specific relationship with you. And even if there is no specific restraining order for stalkers, you may still be able to press charges since it is a crime. Save everything. Keep a hard copy of all social media posts and emails. Try to get hard copies of all text messages by forwarding them to your email. Take a screenshot of your smartphone of the actual calls and videos the stalker may have sent you. Keep a log of the harassment. Remember to track the date and time the incident occurred, what the stalker had done, what actions you took, and if there were any witnesses. Never respond to the stalker or his/her actions. It may reinforce or encourage the person to keep harassing you. Contact the police when possible. Make sure you get a copy of the police report later and keep a note of the name of the officer in charge of the case. If you are a victim of cyberstalking, don’t wait. Discuss your legal options with an experienced domestic violence attorney a soon as possible. Our guest article contributor is Attorney Anthony Carbone, P.C. a solo practitioner in Jersey City, NJ. His firm, the Law Offices of Anthony Carbone, handles personal injury, family law, and criminal defense matters.